Tim and Max are rocking it from booth 6310! RWA announced the nearly ready GBB pistols Agent1 (600-700 USD) & the Warhawk (170 USD). Both TM compatible! We were already familiar with the Avatar smart grenades (99 USD)... In the corner is Rich showing his latest Wolverine Airsoft MTW ecosystem. Hope to see a few more updates during IWA 2018! And more SHOT SHOW 2018 updates! Tim and Allen informed us about their new lineup for the KRYTAC Airsoft product line for 2018. We have the new Poseidon custom highend upgrade parts, new vector rails and stock, Vector custom painting by Evike, minor updates to their M4's and the final TR47 GPR as announced last year. Nothing unexpected or groundbreaking till today! "January 25, 2018 – Las Vegas, Nevada, USA – KRYTAC®, KRISS USA’s brand of leading airsoft and training products, will produce an airsoft version of the new MK36H rifle with exclusive licensing from Osprey Armament. KRYTAC® and Osprey Armament jointly announced the exclusive agreement during the 2018 Shooting Hunting and Outdoor Tradeshow in Las Vegas, Nevada. 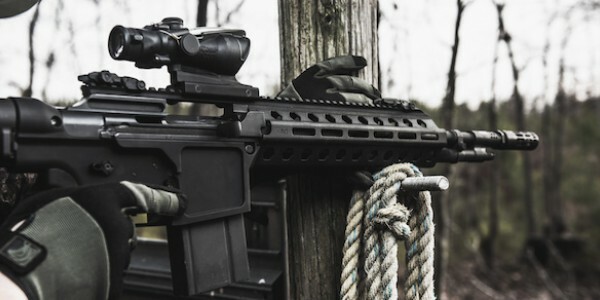 ICS partnership USA, HERA Arms CQR and more! 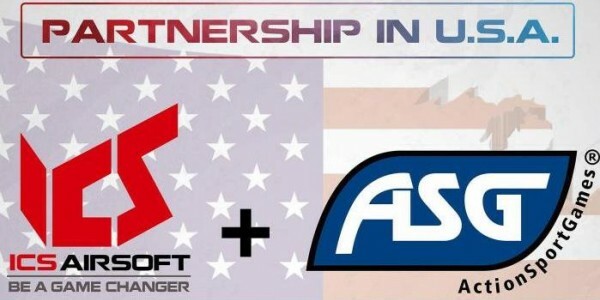 "ICS Airsoft is proud to announce the exclusive partnership with ASG USA for the distribution of ICS products in US. If you want to know more visit ASG booth 2643 at SHOT Show 2018 and follow us in our social media. Under the terms of the new agreement, ASG will market, sell and support the full line of ICS products in the US. 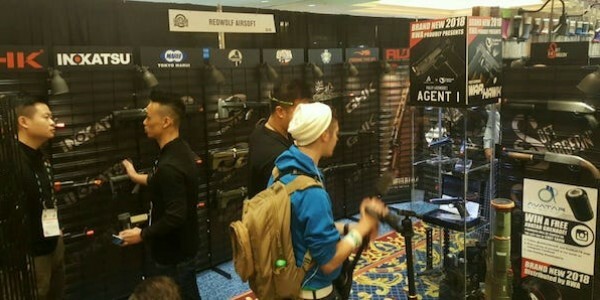 US Airsoft Retailers and consumers will be able to enjoy the benefits of this partnership, which combines the world-renowned quality and reliability of ICS products with the convenient stateside service and support from ASG"
We will report all Airsoft related on our special newsblog! 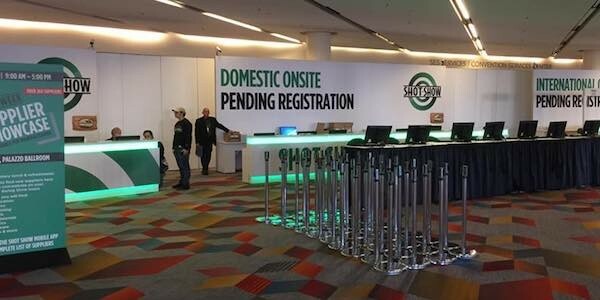 SHOT SHOW 2018 is about to start this Tuesday in the Sands Expo, Las Vegas! Unfortunately we are not able to visit the show in person again. We will manage our Airsoft Newsblog related to Shot Show from home... Be sure to subscribe to our push notifications, to stay up-to-date! Stay tuned for the latest and greatest from the Airsoft industry! We will report the latest and greatest to you. We expect not that much from KRYTAC this year, however plenty news from Airsoft Innovation (grenade teaser?) and some goodness from ActionSportGames, Wolverine Airsoft (!) and Polarstar Airsoft. 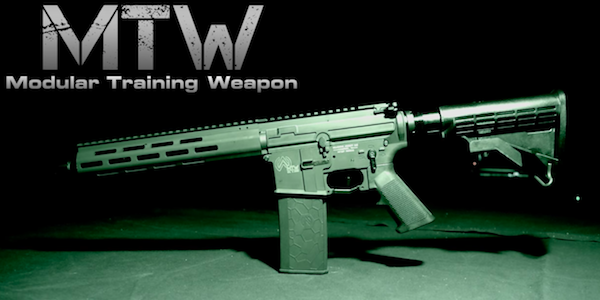 Not to forget some interesting new items from G&G Armament, Redwolf Airsoft etc. etc. We will keep you posted! Stay tuned on our socials; Twitter, Instagram and Facebook!